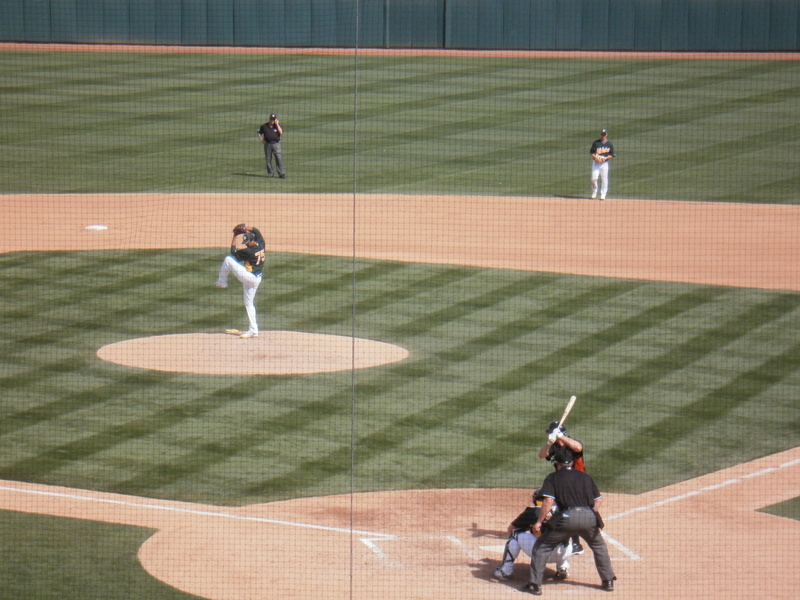 Phoenix, Ariz. – The Giants lost to their cross-bay rival Athletics 6-0 in front of a sell-out crowd of 8,330 at Phoenix Municipal Stadium today. 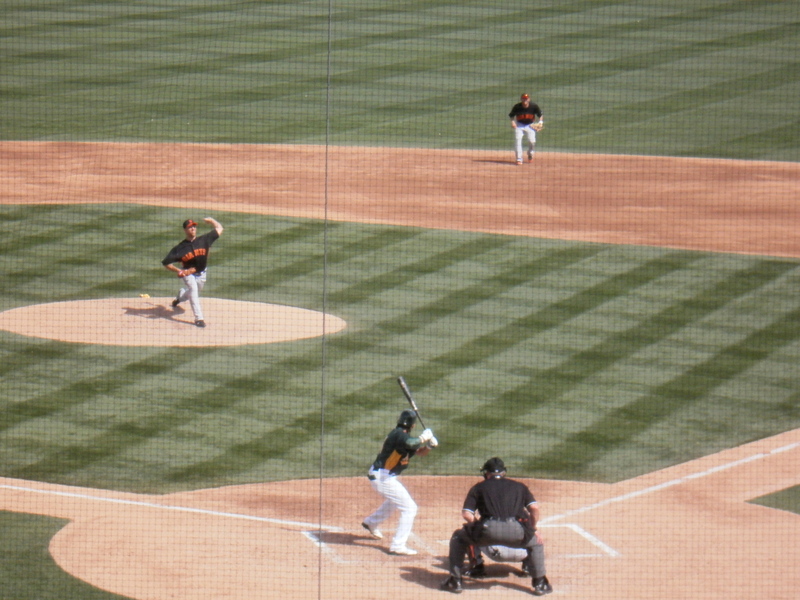 Madison Bumgarner started for the Giants and threw 3.0 innings while allowing 1 run (0 earned) on 2 hits to suffer his 2nd loss of the spring. (Brandon Belt single in the 2nd) and 6 hits the entire game. 6-4-3 double play to end the game. Tomorrow, the Giants host the Seattle Mariners at Scottsdale Stadium as RHP Tim Lincecum will toe the rubber against LHP Nate Robinson. Game time is 1:05 (12:05 p.m. PT) and can be heard KNBR 680 radio.